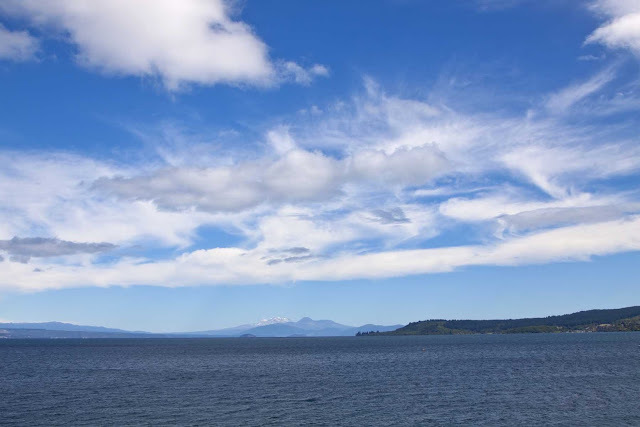 We left Ohakune and drove for 2 hours to Lake Taupo. 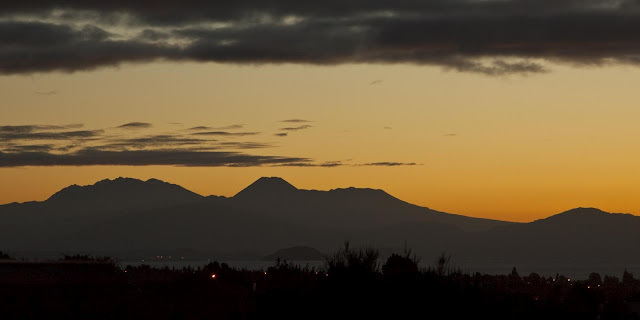 By now we were very tired and very hungry after walking the Tongariro! 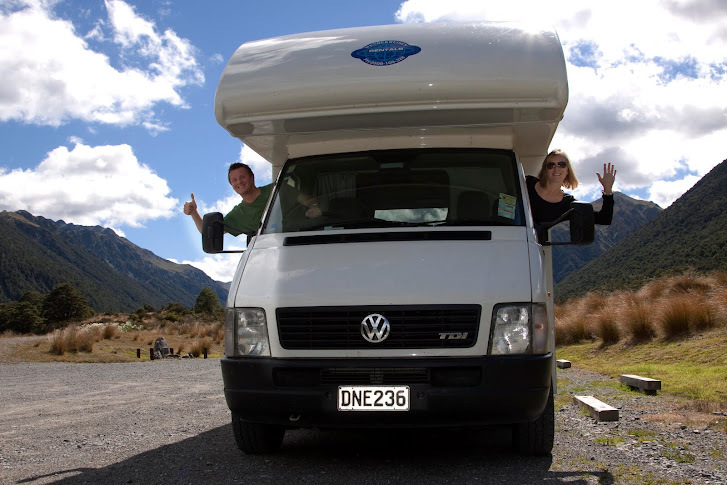 We ate and crashed out. The next day the blue skies had been replaced with grey but at least it was warm and dry. 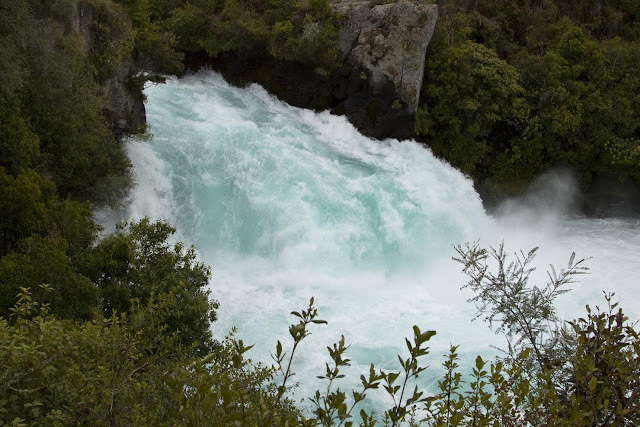 15 minutes out of town was Huka Falls. 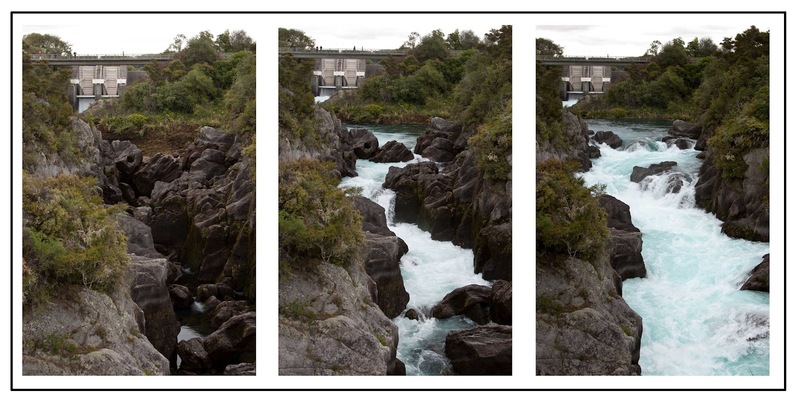 250,000 litres of water per second flow down the narrow gully from Lake Taupo and over the 11m drop into the Waikato River - the longest river in New Zealand. A few kms further down stream is the Aratiatia Rapids. 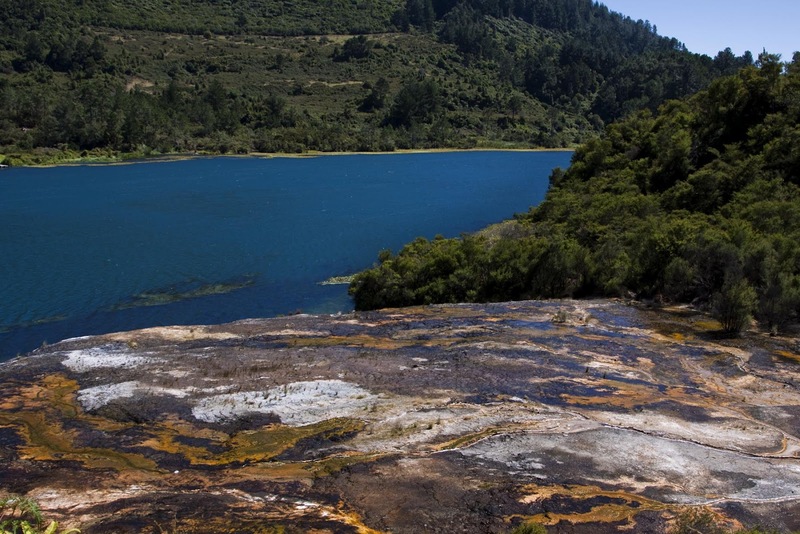 Here, the Aratiatia Dam releases water 3 or 4 times a day to generate hydro-electric power. 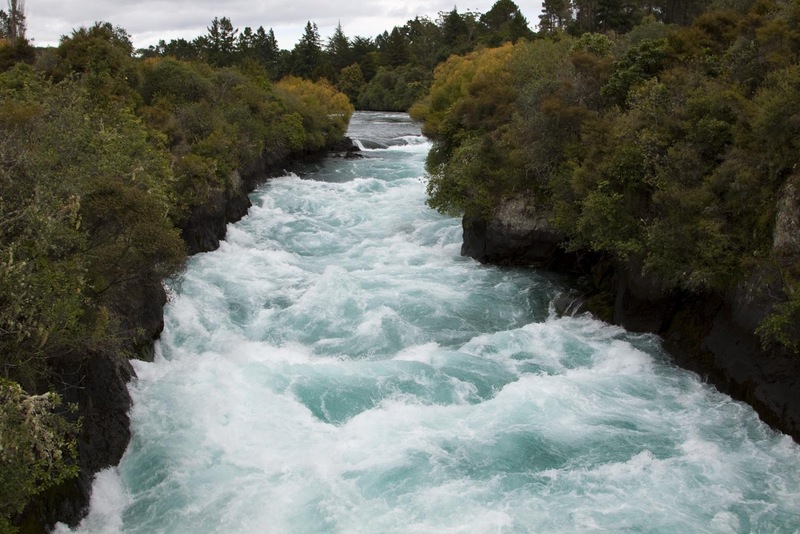 This also has the bonus of showing tourists just what these rapids looked like prior to the building of the dam. 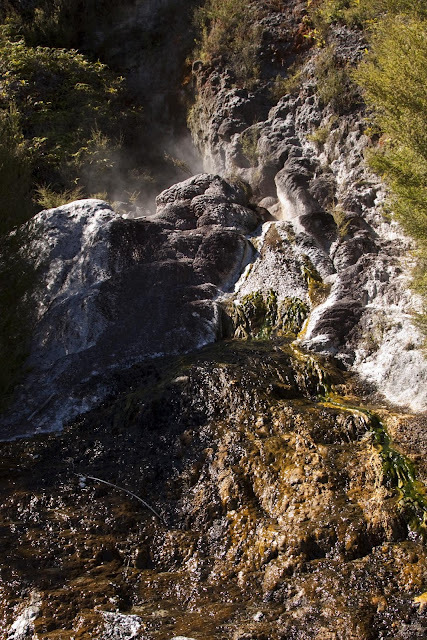 In 5 minutes, the water level rose over 7m and the placid stream turned into a beast! 10 minutes later the gates closed and the water level returned to a placid flow. 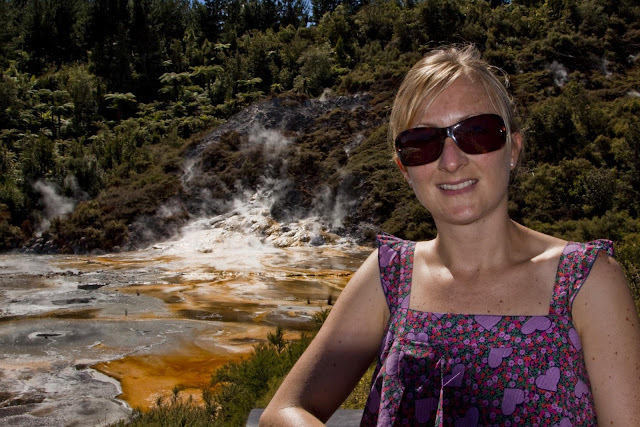 The sun was shining so we made the most of it and drove over to Orakei Korako, a 'thermal wonderland'. 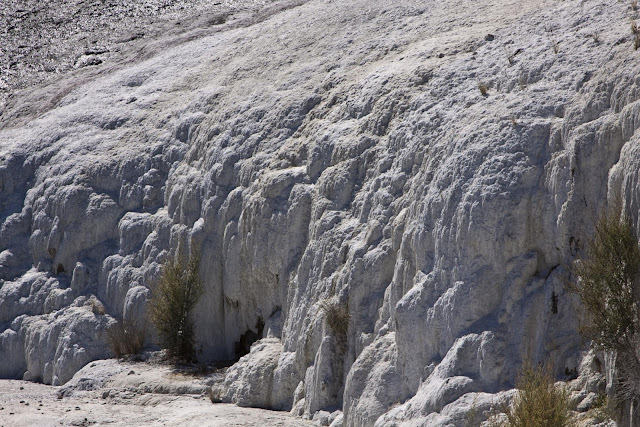 “O” is the 'place' of “rakei” 'adornment', “Korako” meaning 'white', describing the large sinter flat. 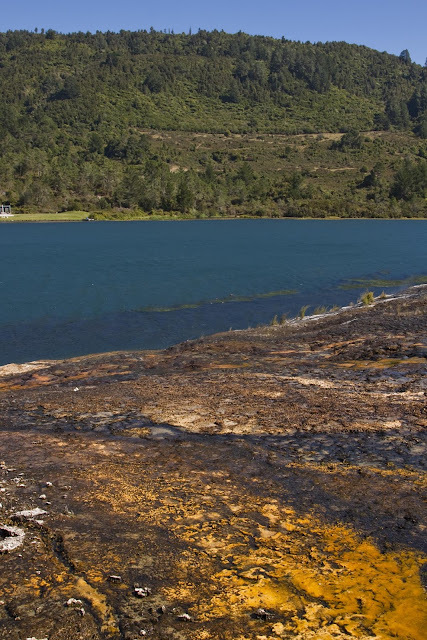 To reach the area we boarded a small boat made the 2 minute crossing and arrived at the point the sinter flats descend into the lake. 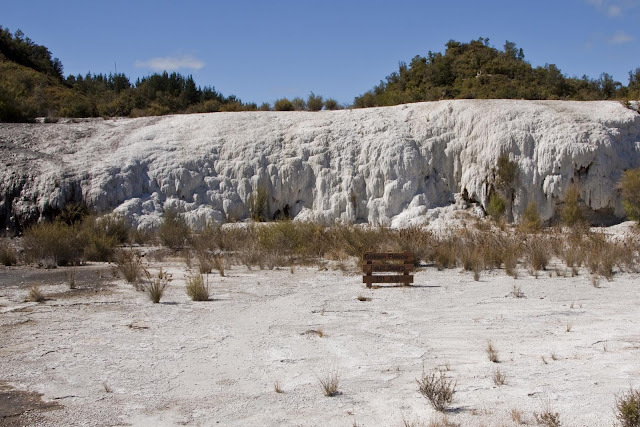 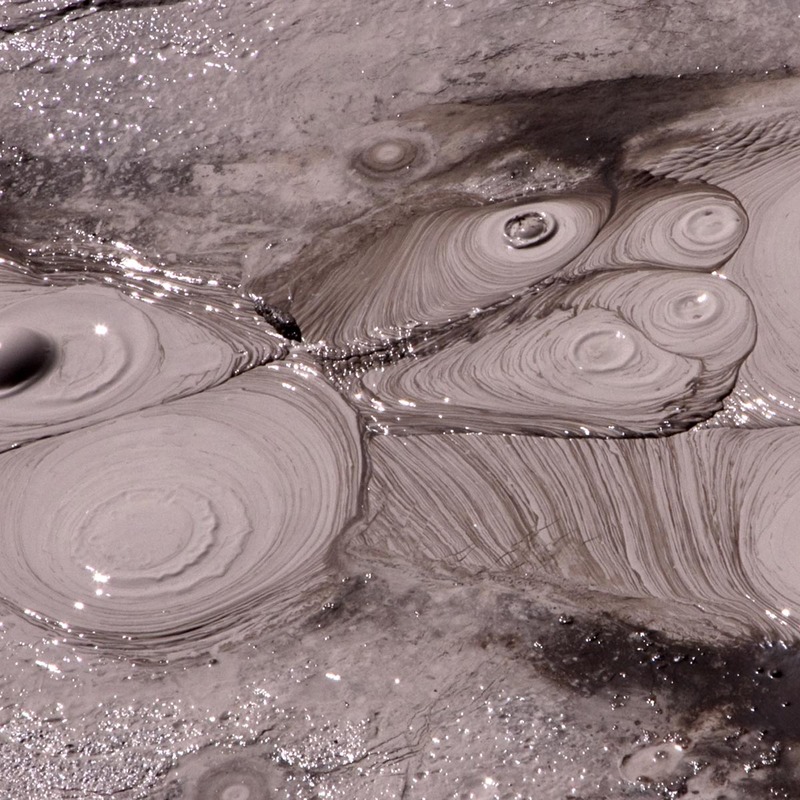 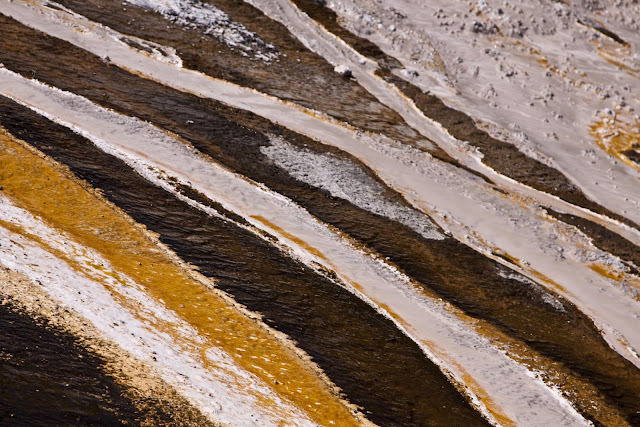 The Silica Terraces that form the base of Orakei-Korako are believed to be the largest of its kind since the destruction of the famous Pink and White Terraces in 1886 on the edge of Lake Rotomahana beneath Mount Tarawera. 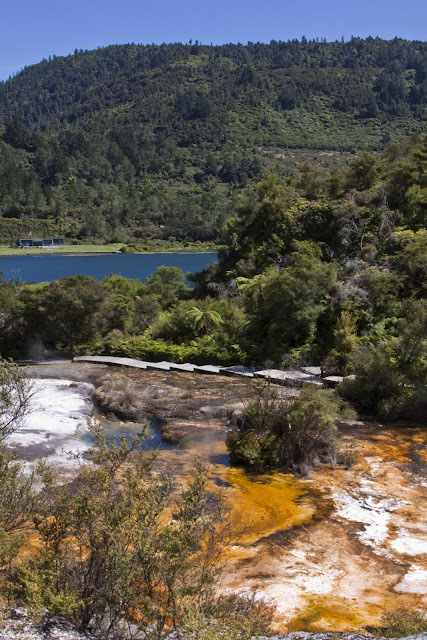 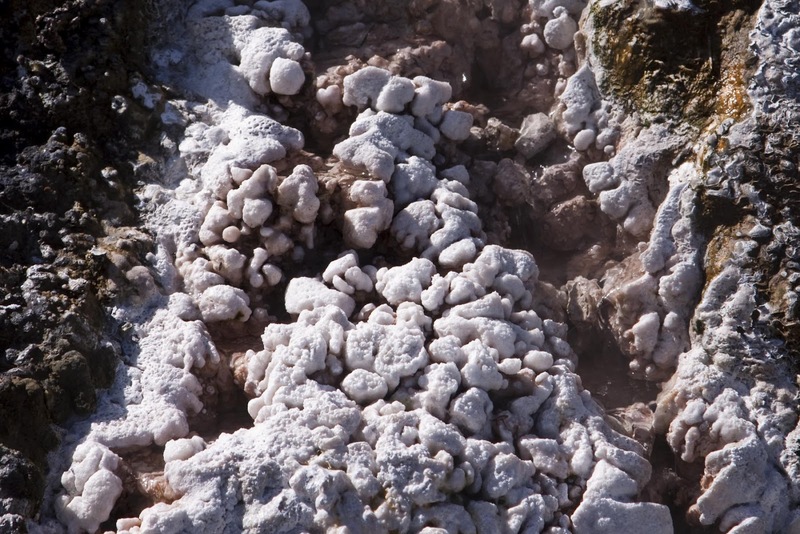 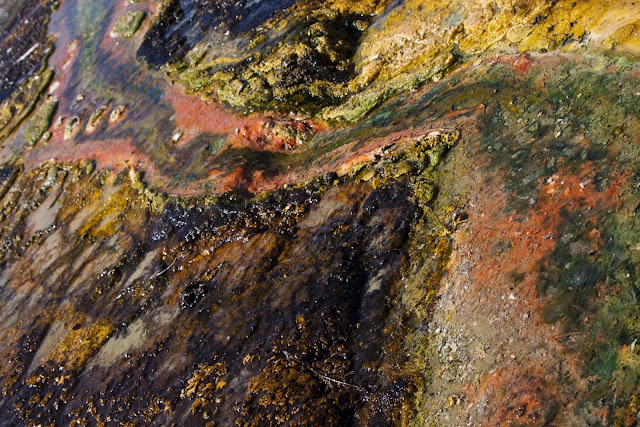 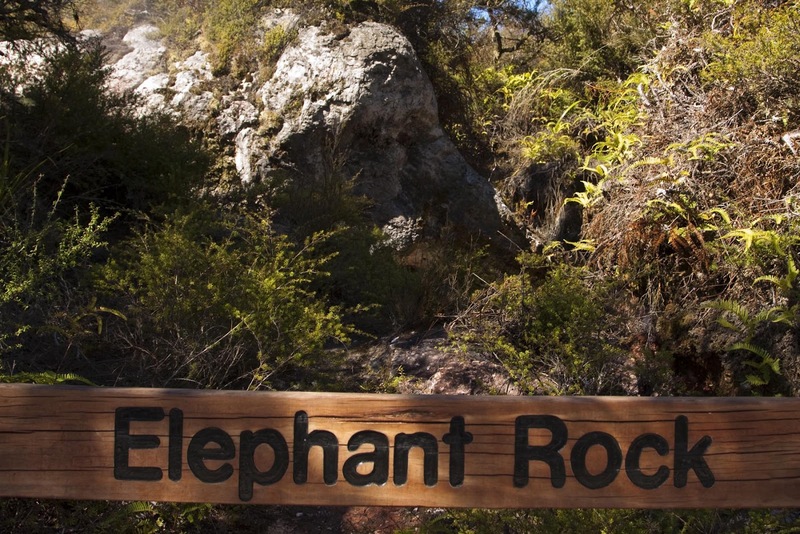 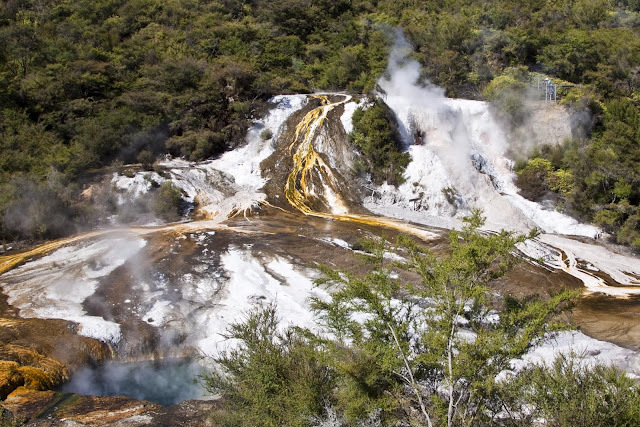 Between Taupo and Rotorua, Orakei Korako gets fewer visitors than other thermal areas because it’s off the beaten track. 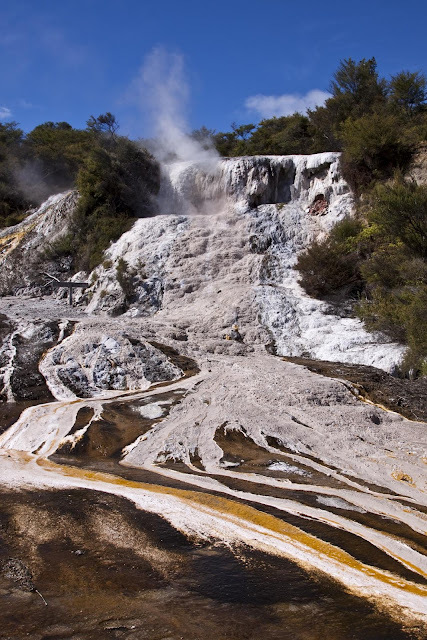 But, since the destruction of the Pink and White Terraces by the Tarawera eruption in 1886, it has been possibly the best thermal area left in NZ. Although three-quarters of it now lies beneath the dam waters of Lake Ohakuri, the remaining quarter is the best part. As we haven't seen any other thermal areas, we'e not sure if we agree yet, but it is it stunning! We traveled back to Taupo for some lunch and sat by the lake and the Tongariro National Park was just visible and the clouds just about stayed away until sunset! Bye Bye South - Hello North Island!